Check out the latest on the Buffalo Sabres plus speculation over Taylor Hall’s next contract in today’s NHL rumor mill. WHAT NEXT FOR THE SABRES? ESPN.COM: Greg Wyshynski and Chris Peters looked ahead to the Buffalo Sabres offseason now that they’re officially eliminated from playoff contention. 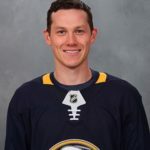 Re-signing forwards Jeff Skinner and Evan Rodrigues to new contracts without overpaying and figuring out what to do with defensemen Rasmus Ristolainen and Marco Scandella are among the main issues to be addressed. After striking out with the Scandella acquisition in 2017 and the Ryan O’Reilly deal last year, they believe general manager Jason Botterill must make a winning move this summer. Re-signing Jeff Skinner will be the Buffalo Sabres’ off-season priority (Photo via NHL Images). SPECTOR’S NOTE: I’d argue acquiring Skinner for peanuts from the Carolina Hurricanes was a winning move for Botterill. Re-signing him will be expensive but I don’t think the Sabres have much choice. He’s got terrific chemistry with Jack Eichel and letting him walk after just one season sends a bad message to the team and the fans that ownership doesn’t want to invest in building a winner. There’s no denying the Scandella acquisition failed to bolster the blueline while the players received in the O’Reilly deal (Patrik Berglund, Vladimir Sobotka, Tage Thompson) contributed little to the Sabres this season. If Thompson doesn’t improve or those two draft picks also received in the deal (one of them a first-round selection in this year’s draft), that trade will be a bust for the Sabres. Trading Ristolainen should fetch a solid return but I still believe it would be a mistake to move him unless he wants out. He’s only 24, signed through 2021-22 and carries a reasonable $5.4-million annual average value. Scandella’s decline hurts his trade value but he’s got just one year left on his contract with an affordable cap hit ($4 million) and might interest a club looking for short-term blueline depth for next season. CRUCIAL OFFSEASON FOR THE DEVILS AND TAYLOR HALL. THE ATHLETIC (subscription required): Corey Masisak recently wrote about the New Jersey Devils facing a crucial offseason with their efforts to re-sign left wing Taylor Hall. Winner of the 2018 Hart Memorial Trophy, Hall has become the face of the Devils’ franchise. However, he’s a year away from becoming an unrestricted free agent. If Hall’s not re-signed this summer, the Devils will spend next season trying to convince him to re-sign or moving him before next year’s trade deadline. Devil GM Ray Shero intends to meet with Hall and his agent in the offseason in hopes of working out a long-term extension. Masisak believes the Devils are willing to re-sign him to a lucrative new deal and doesn’t feel money will be a sticking point. SPECTOR’S NOTE: As per Cap Friendly, the Devils have just over $30 million invested in nine players for 2020-21. Their notable free agents this summer include Pavel Zacha and Will Butcher. Assuming they make a major acquisition or two this summer via trade or free agency, they should have plenty of room to re-sign Hall to a big raise. There certainly seems a willingness by the Devils to do this. What it’ll come down to is whether Hall believes his long-term future is with the Devils. He could take a “wait-and-see” approach toward next season, which will certainly make Devils fans nervous and raise the possibility of his departure via free agency next July. If the Devils struggle through next season you can bet Hall will dominate the rumor mill leading up to next year’s trade deadline. That speculation could start in the days leading up to the 2019 NHL Draft if there’s any hint that he won’t re-sign this summer. This is Hall 9th season in the NHL and he has been to the playoffs once for a total of 5 games. He is going to get his money. Will he sign before NJ acquire anyone or will he wait and see. Just need to wait and see because he can pick a playoff team to sign with after next season. He’d make an excellent Bruin. What would be the cost for that kind of FA acquisition? The issue with Hall is his durability. He has only played over 70 games a season 4 times in his career. Not including the 2012/13 – 45 games season. If Ristolainen is available then that’s the first guy the Leafs need to go after, do what it takes to get there including players and picks. If you’re a fan of advanced stats which Dubas is then he’s not the guy you want. Just throw out any name and Leaf fans say “that’s the first guy the Leafs need to go after”. Does it ever end? Marty mcsorly. Go git em leafs fans. Chrisms – The bet is on! I think Dubas is counting on a couple of Marlies moving up – Rosen, maybe one of the kids. As for Buffalo, wouldn’t a coaching change be part of the off-season moves?